Because of our geographical location, Bangladesh is at a high risk of experiencing natural disasters, and we have had a few experiences in the last years which have been catastrophic to our ways of life. About eighty percent of our country consists of floodplains, and as such, when heavy rains pour, we are left in a state of havoc. The recent climatic changes are increasing the amount of rainfall that we receive, making the situation worse for us. Due to the climate changes, we are experiencing problems such as high temperatures, a rise in the sea level which puts us at a risk of flooding, cyclones, torrential downpours, storm surges as well as salinity intrusion. These and other changes are not only affecting us economically but they also affect us socially. We mainly rely on agriculture, and most of our population is involved in farming in one way or another. Cultivation takes place around the three seasons of hot weather, heavy rainfall and high humidity. We experience various types of natural disasters on a yearly basis, owing to climatic changes in the region. About eighty percent of our nation is prone to flooding which occurs when there is intense monsoon downpour. Such floods not only destroy our crops but they also create breeding grounds for insects such as mosquitoes which spread malaria. Surges even damage the structure of our buildings, and when such water mixes with our sewerage systems; our public health gets put at risk due to exposure to diseases such as cholera. At such times, most activities come to a stop such as transportation, education and any other businesses that rely on infrastructure. Power lines also get cut off, and people suffer from lack of commodities and housing. The southern parts of our nation occasionally get hit by cyclones as well as storm surges which destroy our farms and houses. The coastal belt is experiencing a problem in the increase of salinity, and the northern part of the country is experiencing a rise in temperatures. With problems such as drought and salinity intrusion caused by global warming, our crop yields have reduced throughout the years. This decline is a significant problem as more than two-thirds of our population is reliant on the proceeds gained from farming activities. Without local food production, we have to lean on the importation of food which is very expensive. The coastal areas were used for rice production before the salinity intrusion occurred, making the land unsuitable for arable farming. 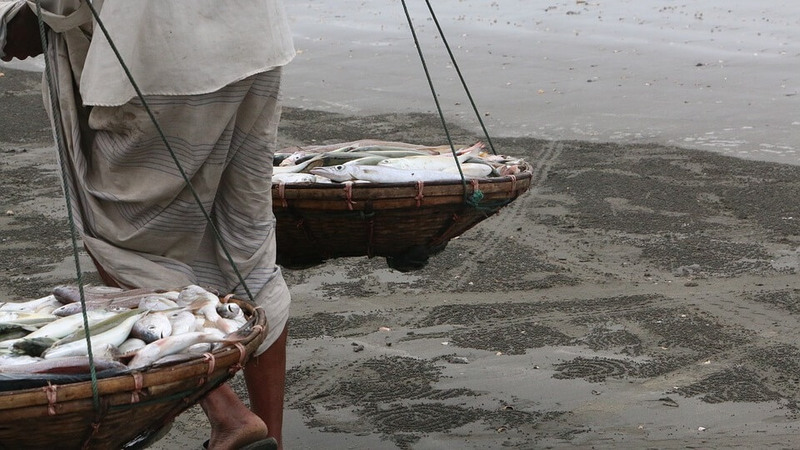 The increase in salinity has affected some species of fish which do well in fresh water, leading to a decline in our sources of protein as well as the revenues we get from the sale of such fish. People from the coast are heading to higher land regions as they get exposed to coastal surges that are threatening their lives. This move has affected the economic productivity of the area and has added pressure to the food sources in the other regions. Slowly, we are losing our homes, farms, fish, livestock, and everything that matters to us both economically and socially. Our people are now taking up shelter by the roadsides and in unhygienic slum conditions, having been rendered homeless by the floods. Hospitals, schools, villages, and markets are sinking because of the rising coastline and families that were once complete have lost their members to the flash floods. Gone are the days when we had surroundings of vegetable gardens, greeneries, and water bodies and fruit trees. The animals in our families are gradually getting turned into memories as they get swept away by the floods. Our way of life is getting taken away from us, all because of climatic changes. Climatic change is not an individual country’s problem as it will affect the whole planet. The sooner we face this problem head-on, the sooner we can restore our nation to what it was. Change starts with you.